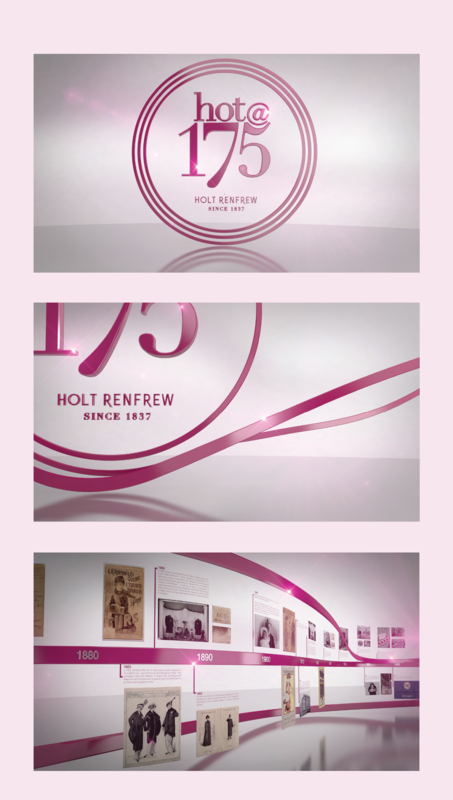 Holt Renfrew approached Phosphorus Media to develop a custom animation for Holt Renfrew’s 100-year anniversary. 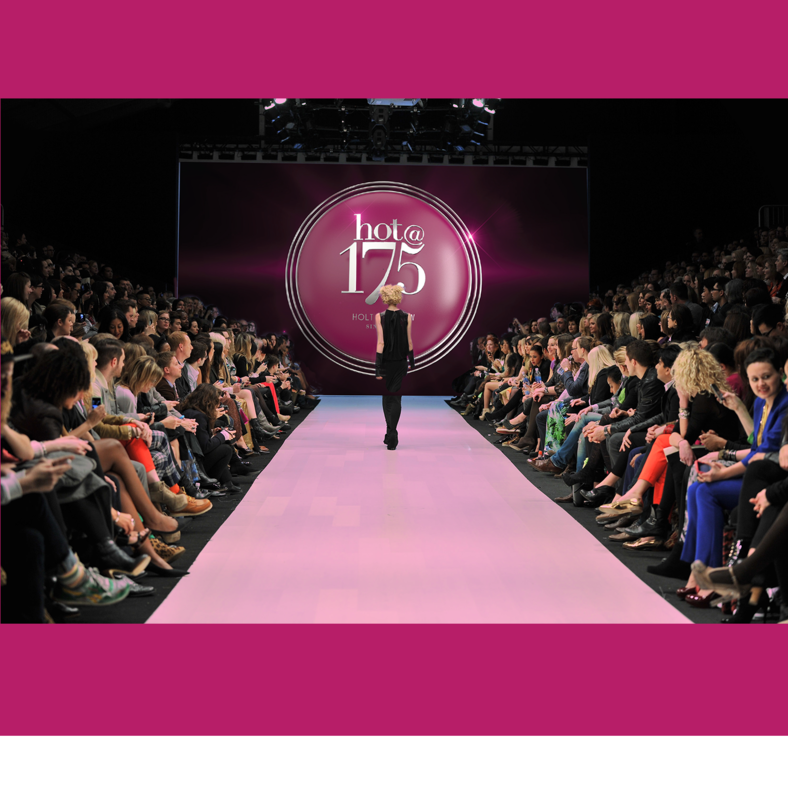 The content was projected during their fashion show on the rear wall of Toronto's Fall Fashion Week 2012. 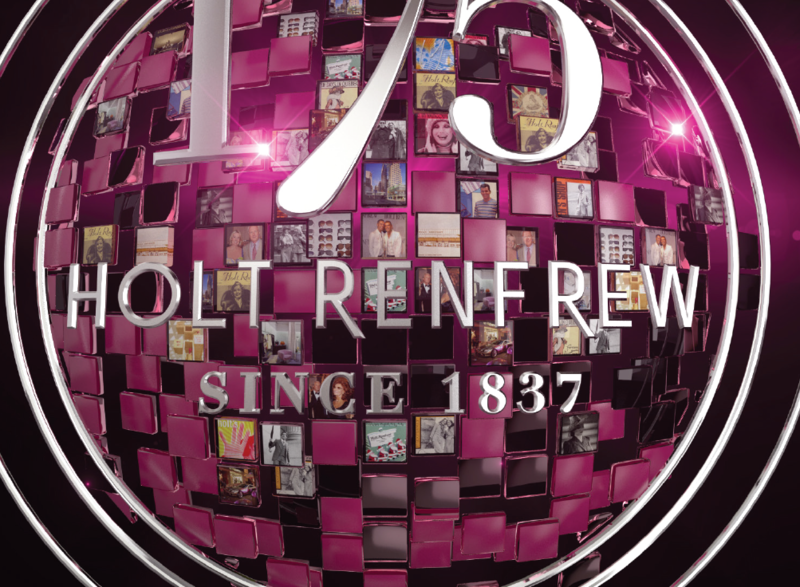 The animation had to look sleek and sophisticated while conveying the history of Holts and the array of designer clothing that would be shown on their runway. 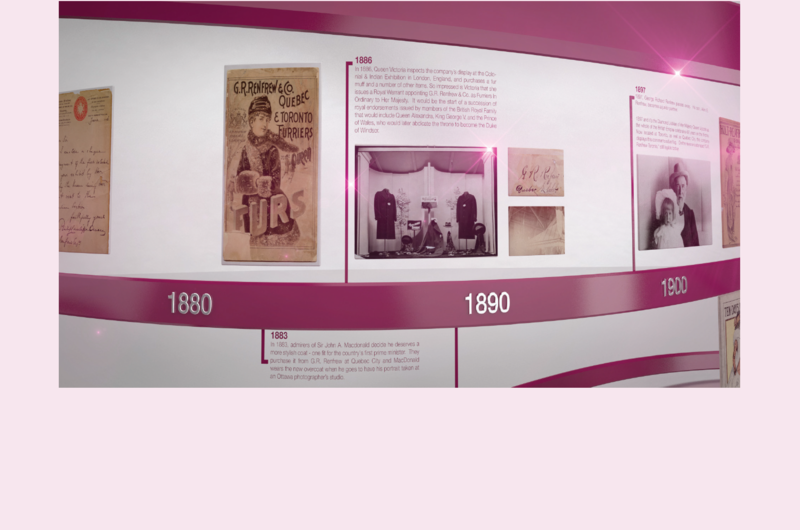 The globe mosaic was conceptualized to display content and imagery throughout the show.